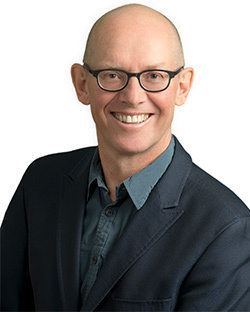 Richard A. Haigh is an Assistant Professor at Osgoode Hall Law School and Director of York’s Centre for Public Policy and Law and Co-Director of the Part-Time LLM program in Constitutional Law at Osgoode Professional Development. He was, until December 2007, the Associate Director, Graduate Program at Osgoode Professional Development. He has been a Senior Lecturer at Deakin University in Melbourne, Australia, a Senior Advisor at the National Judicial Institute in Ottawa, and a Legal Research and Writing Lecturer at Osgoode. His research and teaching interests include Constitutional Law, Public Law, and Equity and Trusts, particularly the areas of freedom of conscience and religion. His recent works include papers on the use of conscience and religion in legislative policies, whistleblowing, dialogue theory and freedom of expression’s relation to noise by-laws; he has also contributed a chapter to a book on legislating statutory interpretation, and a chapter to the casebook on public law (Emond, 3rd ed., 2015). Graduate Research Supervision (LLM, PhD): Professor Haigh is interested in constitutional law matters including federalism, charter of rights (particularly fundamental freedoms of expression and religion; equality; section 7), constitutional procedures (particularly role of interveners). Recent publications include chapters on legislating statutory interpretation, freedom of conscience vs. religion and empirical observations regarding interventions at the Supreme Court of Canada.